The holiday season is full of cooking, shopping, traveling and hopefully some running. In other words, it's busy. So, we appreciate the extra time you spend with us at Fleet Feet. To say thanks, we have some special gifts for you when you spend $150 or more in-store from Nov. 23 - 26. 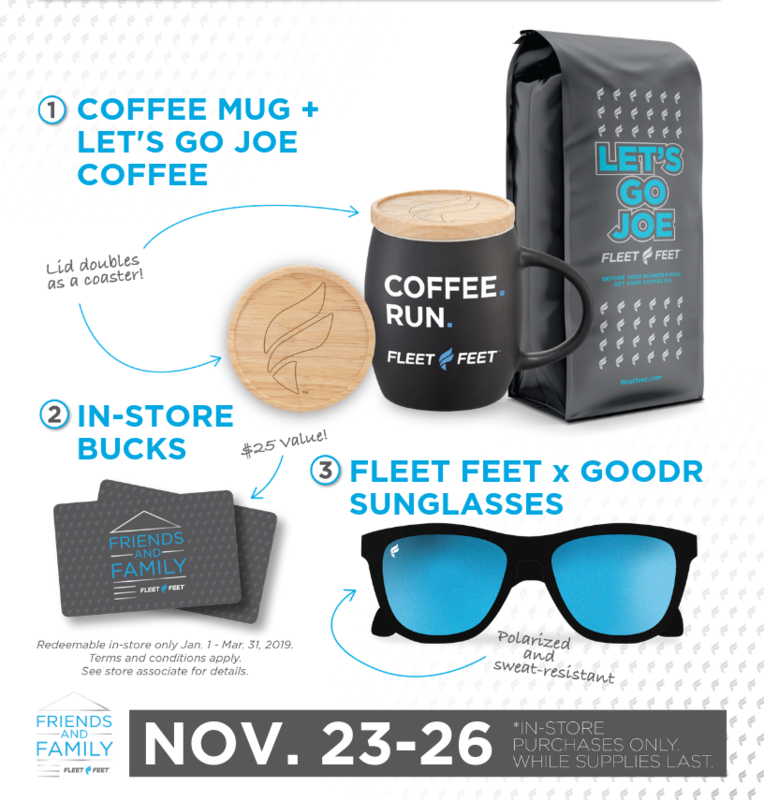 Because when you support your local Fleet Feet, you become part of our community—our friends and family.